This month, meet Michael, a Cheesemonger at the Murray’s Bleecker St. Flagship Store. If you’ve been to our Flagship in the last decade or so, you have without a doubt seen, heard, talked to, laughed with, gotten grief from, or if you’re lucky, consulted on cheeses with Michael. 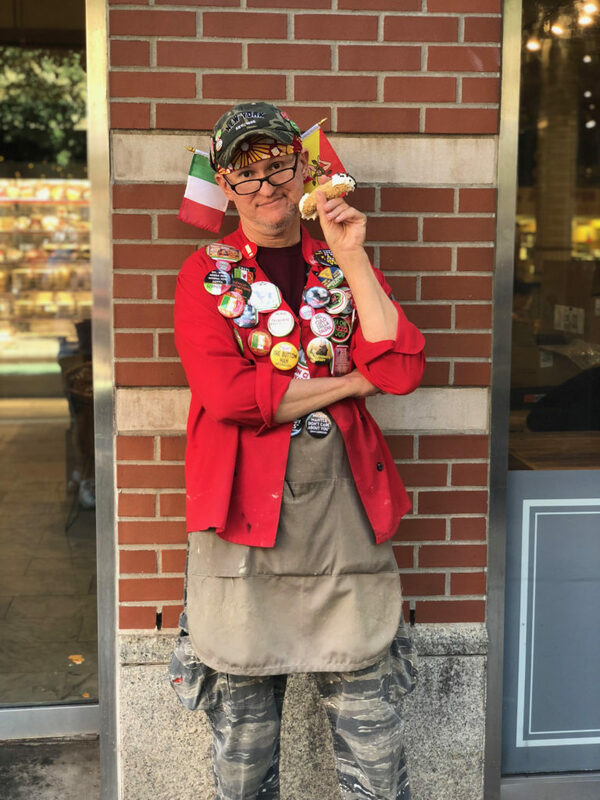 He’s a one of a kind character, but he’s dead serious about cheese, meat, and making sure his customers find exactly what they’re looking for. When he’s not on the counter at Murray’s, he’s galavanting around the city eating and writing for Real Noo Yawkas Eat, his chronicles of the best old school NYC restaurants. He’s one of our favorites behind the counter, and we’re sure after a visit or two he’ll be one of yours too! 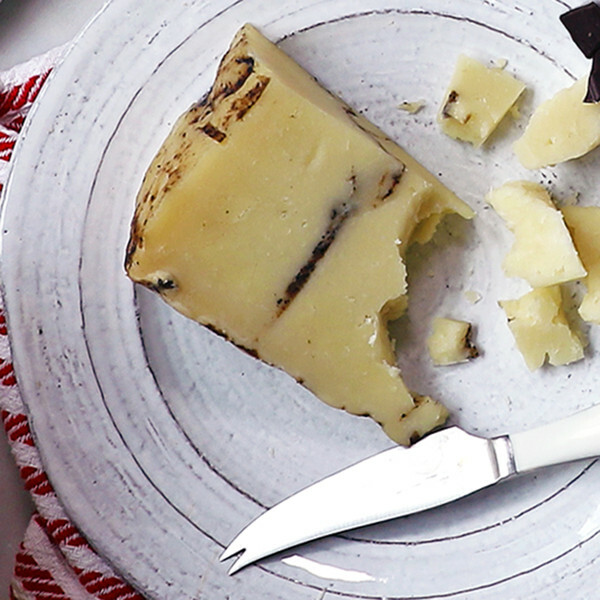 Read on to learn his favorite cheese, meat, and more. Queens Noo Yawk (spell it that way). I had a similar background in the Macy’s Marketplace Department, but was working for the New York Fire Patrol. When the NYFP was disbanded, I needed a job. Murray’s wanted me. I wanted Murray’s. Moliterno al Tartufo. Forza Italia! Salumeria Biellese Hot Coppa is my favorite right now [Editor’s note: this product is only available in NYC stores]. I can slice it thinly enough to read Il Progresso through. I get paid to march to my own drum. Not only is my off beat style appreciated, it’s expected of me as part of the Murray’s dynamic. Michael is part of the Murrays experience! It’s always fun when he is there but above all else, he is generous with his cheese & meat knowledge. Many a successful picnic or party has been due to his insistence that “THIS is the one you want! It’s perfect right now!” And he is always right! as a Noo Yawka, I am grateful to him and for all the wonderful experiences and tastes that Murray’s offers—IMHO, it is peerless!